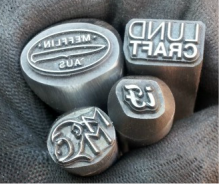 These custom made stamps are available in either cold work or hot work stamp material. ​From May 2016 all COLD work touchmarks will be made of D2 and HOT work touchmarks will be made of H-13. ​Other materials might be available upon request. These stamps are to be used ONLY on fully annealed surface or when the steel is red hot soft. 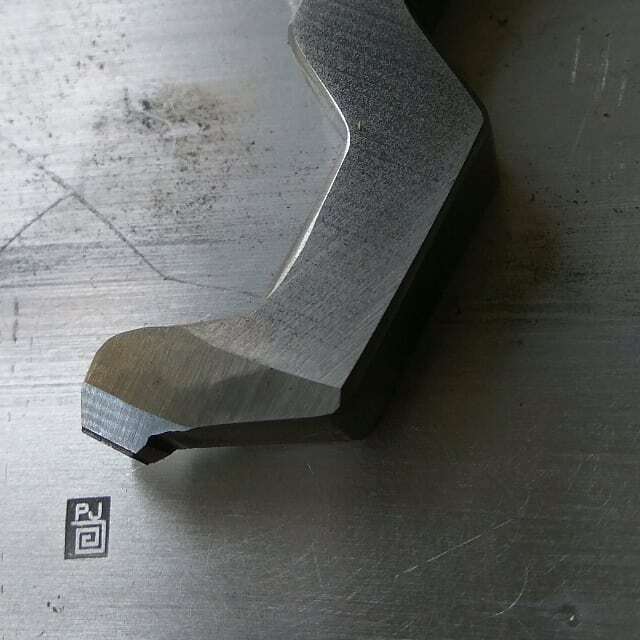 Typical touchmark for cold stamping would have surface area less than a circle of 15 mm diameter. 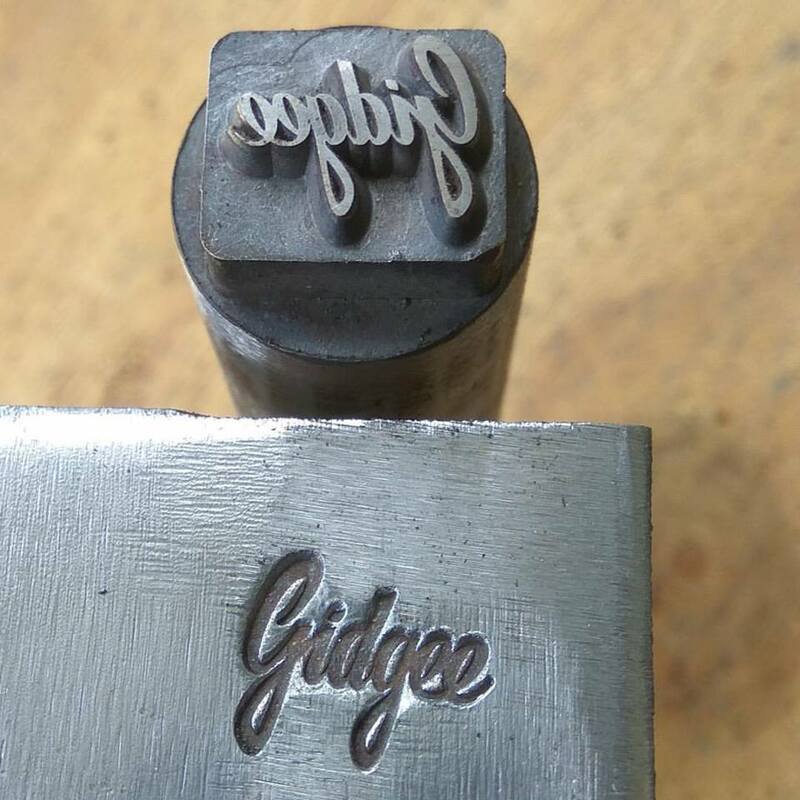 Larger stamps can be made, however due to the amount of steel that need to be moved during stamping, you may find that the stamping force required would made it very difficult to mark without a strong press. 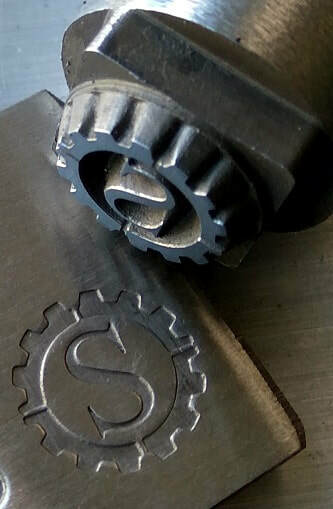 Hot stamping is to stamp the steel when it is red hot (soft). Pricing for stamps is calculated from the SIZE, COMPLEXITY of machining, MATERIAL of the stamp and other request. Generally for best price, stick to simple design with not too much details. 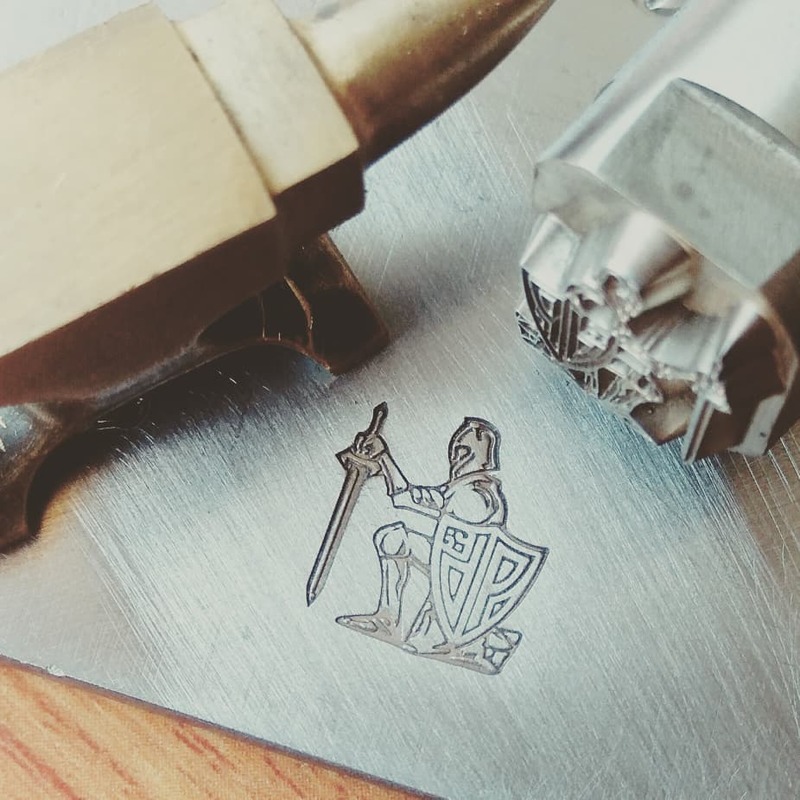 Stamps smaller than 6 x 6 mm (1/4 inch) will be considered as jeweler's stamp which will be a lot more expensive due to higher production complexity. Longer (up to 150 mm) touchmark can be ordered with extra cost. 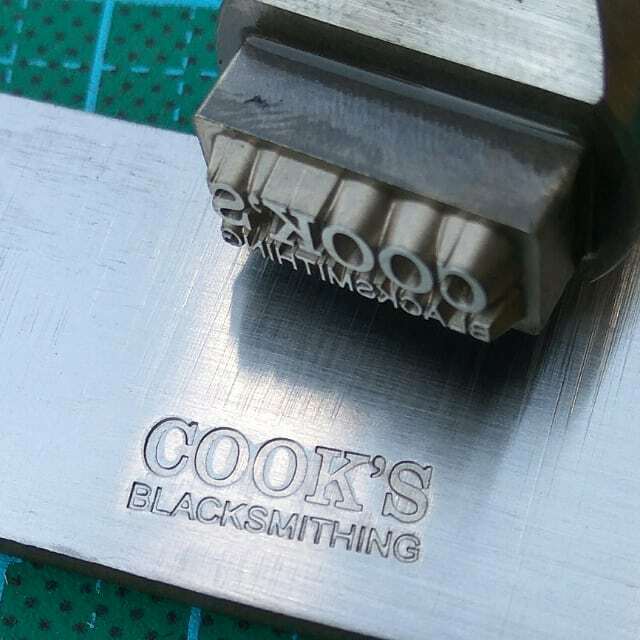 Jewelry stamps can be ordered as a straight punch or bend punch (for rings). 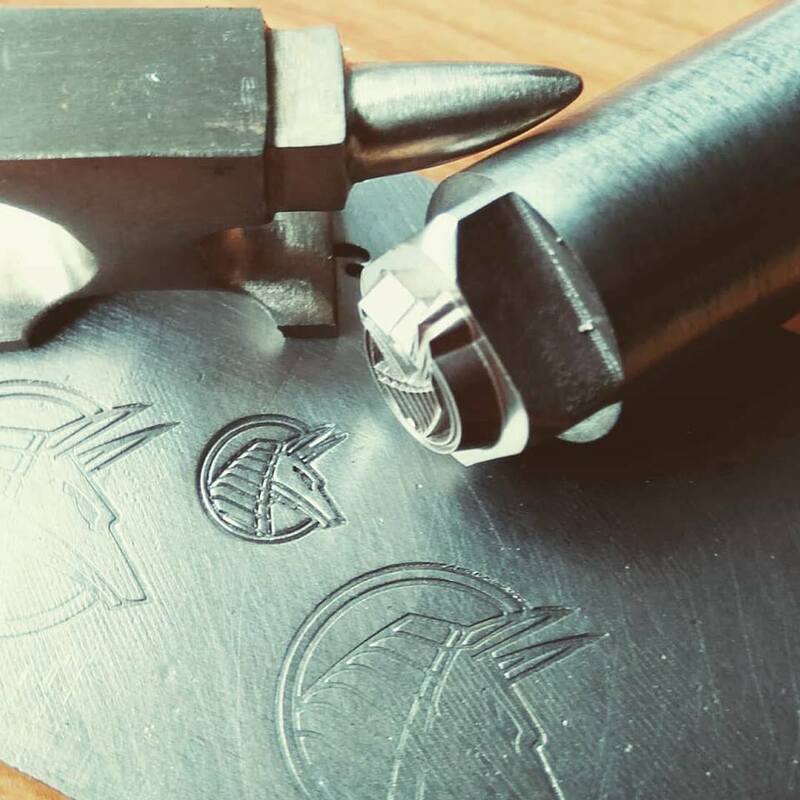 Never use steel stamps on hardened surfaces. 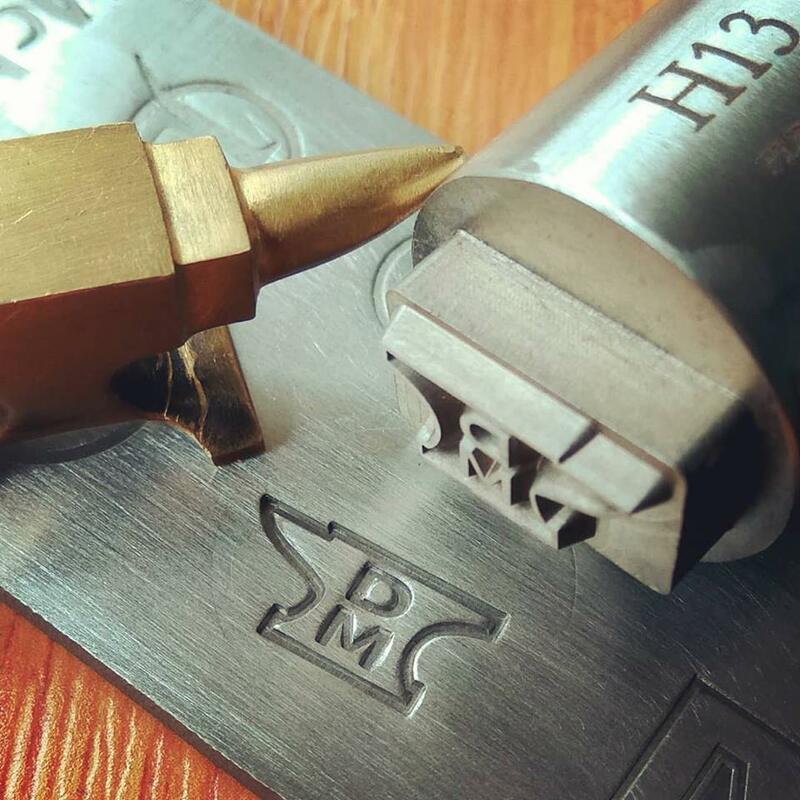 These stamps are to be used on soft metal or steel in fully annealed state.